An organic property trading game that will grow on you! Players buy garden favorites, collect clay pots and trade them in for greenhouses. 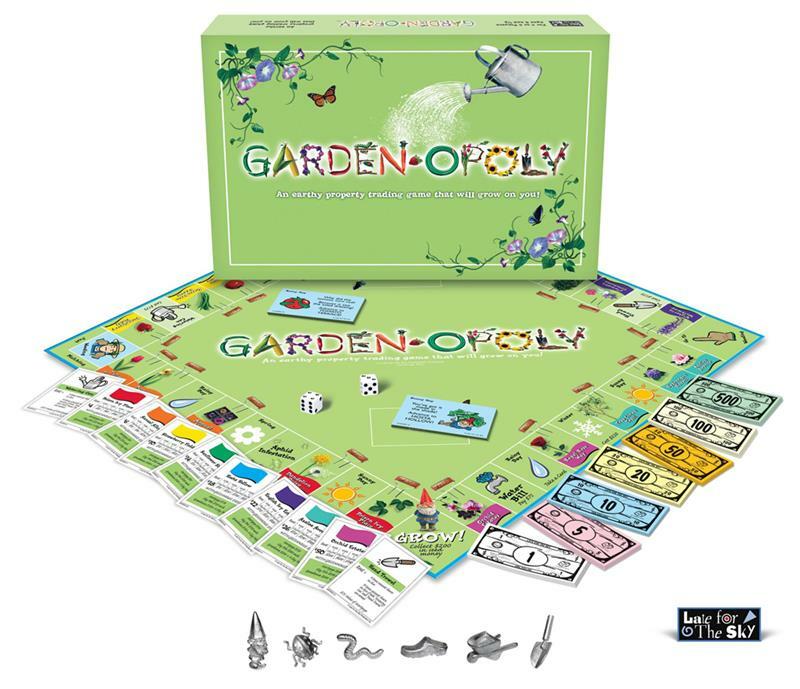 Sounds easy enough but add aphid infestation, your water bill and a dandelion outbreak and it becomes a little more difficult and a lot more fun! Players also learn as they play! Each deed back contains interesting facts such as the appropriate climate, soil and watering for each plant as well as fun facts about origin, popularity and varieties. Choose your token and roll the dice. Who knows? You may be elected president of the Horticultural Society...or you may be WEEDING and out of the game for three turns! For 2-6 players, ages 8 and above.